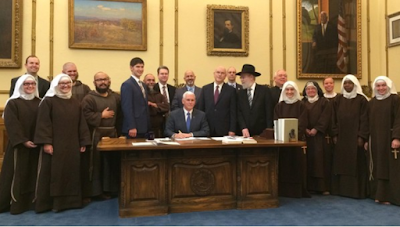 Mish's Global Economic Trend Analysis: Indiana Legalizes Discrimination on Grounds of "Religious Freedom"
Indiana Legalizes Discrimination on Grounds of "Religious Freedom"
Can you refuse service to gays and lesbians? You can in Indiana thanks to the "Religious Freedom" Bill. Indiana Governor Mike Pence has signed a bill that would allow businesses to refuse service to gay and lesbian patrons on the grounds of “religious freedom”, even as some of the state’s largest business interests oppose the measure. Mr Pence, a potential 2016 presidential contender, said he signed the bill because “many people of faith feel their religious liberty is under attack by government action”. 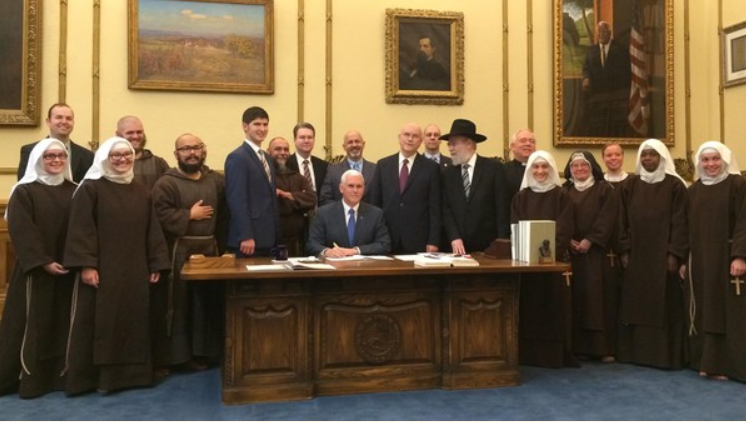 Proving that he cannot think, Pence quipped "If I thought it legalised discrimination in any way in Indiana, I would have vetoed it." And what about religious freedom for atheists, Muslims, ISIS? Can they do whatever they want too, or is this just religious freedom for Christians and Jews? Where does one draw the line? Can I post a sign Catholics not welcome? Jews go home? Greg Ballard, the Republican mayor of Indianapolis, has said that the Indiana law sends the “wrong signal”. “Indianapolis strives to be a welcoming place that attracts businesses, conventions, visitors and residents,” he said in a statement Wednesday. In recent days, three major conventions have threatened to pull out of the state because of the bill. The organisers of Gen Con, the city’s largest convention, said the law “will have a direct negative impact on the state’s economy, and will factor into our decision-making on hosting the convention in the state of Indiana in future years”. "Many people of faith feel their religious liberty is under attack by government action," said Pence. Actually, people of all races, creeds, and religions are under attack by this ludicrous bill. Backlash is mounting. The Guardian reports Indiana Republicans to amend 'religious freedom' law in face of backlash. The next day, the social media campaign #BoycottIndiana took over Twitter, and on Saturday hundreds gathered at the statehouse in Indianapolis to rally against the bill. By Monday night, protesters were gathering again, this time in front of the Indianapolis City-County building. Protesters recited the pledge of allegiance, shouting the “for all” at the end of the oath. Local businesses across the state capital have posted signs bearing the message that Indiana citizens, known as Hoosiers, will “not serve hate”. The band Wilco canceled a performance in Indiana in protest to the law, and major Indiana-based businesses such as Angie’s List have put expansion plans on hold and other companies, like Salesforce.com, have stopped sending employees there for business. On Sunday, Pence defended the bill in an interview with George Stephanopoulos on ABC’s The Week. The appearance inflamed opponents as Pence danced around questions about the law’s discriminatory implications and refused to directly answer questions about whether it gives businesses the right to deny service to LGBT people – six times. State legislators say law is not anti-gay and blame the reaction on a ‘mischaracterisation’. ‘What we had hoped for was a message of inclusion’. This has nothing to do with "inclusion". This has everything to do with a hopeless candidate foolishly appealing to the ultraright extremists and it backfired big time. To Pence, you are equal unless your religion says otherwise. He is exactly the kind of fake-conservative jackass the Republican party needs to get rid of.